HCM City authorities have asked the National Assembly (NA) to increase investment for the city’s first two metro lines that start near Ben Thanh Market in District 1 and end at Suoi Tien Theme Park in District 9 and Tham Luong depot in District 12. The city’s People’s Committee has proposed an adjusted total investment of VNĐ47.3 trillion ($2.076 billion) and nearly VNĐ48 trillion ($2.107 billion) for metro line No. 1 and No. 2, respectively. Metro line No 1 (Bến Thành in District 1 to Suối Tiên in District 9) was approved by the city in April 2007 with an investment of VNĐ17.4 trillion ($766.4 million). Approval by the NA was not needed at that time. After investment costs were re-calculated by consulting agencies, costs increased to more than VNĐ47.300 trillion. The city administration attributed the rising costs to price changes for construction materials, an increase in the minimum wage, and the depreciation of the Vietnamese đồng and Japanese yen, among others. In August 2011, the PM agreed to the city’s proposed project adjustments. But with investments reaching more than VNĐ47.3 trillion, the NA then had to approve the amount. According to the city’s People’s Committee, the city has signed three loan agreements worth VNĐ31.208 trillion, of which VNĐ11.929 trillion has been disbursed, accounting for 38 per cent of the total signed loan agreements. The project has implemented four bidding packages and has completed around 52 per cent of the work on metro No 1, with most of the work on an elevated section and depot at metro No. 1 completed. 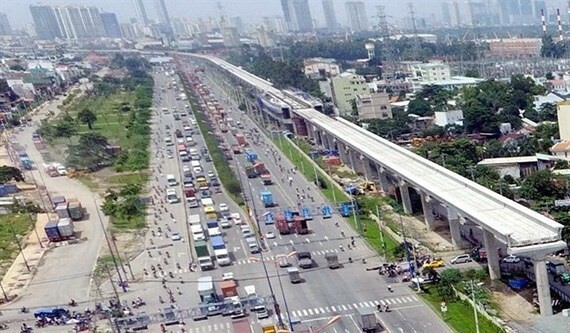 As for the metro line No 2, which connects Bến Thành market in District 1 with Tham Lương in District 12, the city People’s Committee in 2010 approved a design by a local consulting firm, with a total investment of $1.37 billion. Meanwhile, investment capital for the second metro line Bến Thành-Tham Lương also increased, from VNĐ26 trillion to nearly VNĐ48 trillion, after the completion deadline was extended from 2020 to 2026. 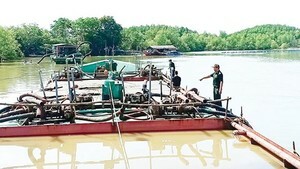 According to the Ministry of Construction and Ministry of Finance, the project needs to be reported to the PM before being submitted to the NA for approval.